Have you decided to welcome a new ferret or two into your home, but are stuck on what to name your new furry pal? There are so many ferret names to choose from! 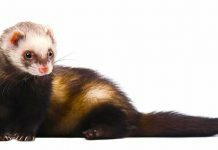 In this article we’ll take a look at ferrets as pets, and then draw inspiration from their charmingly distinctive personalities to provide you with 250 adorably awesome name suggestions! Picking a name for any new pet is often easier said than done. Sometimes, a new owner needs only one look at their little friend to come up with a flash of inspiration for their new name. Other times, the owner takes some time to consider the physical and personality features of their pet, and the naming process flows organically from there. Of course, every naming experience is unique. While the naming process can be a fun bonding experience with your new pet, you may feel overwhelmed by the seemingly infinite options out there. It’s also important to have a name that works for you and your pet. Whatever name you choose, you need to stick with it for your pet’s sake, to minimize confusion. This is especially true of ferrets, as one of their most notable traits is their intelligence, specifically their wonderful ability to learn commands and fun tricks. 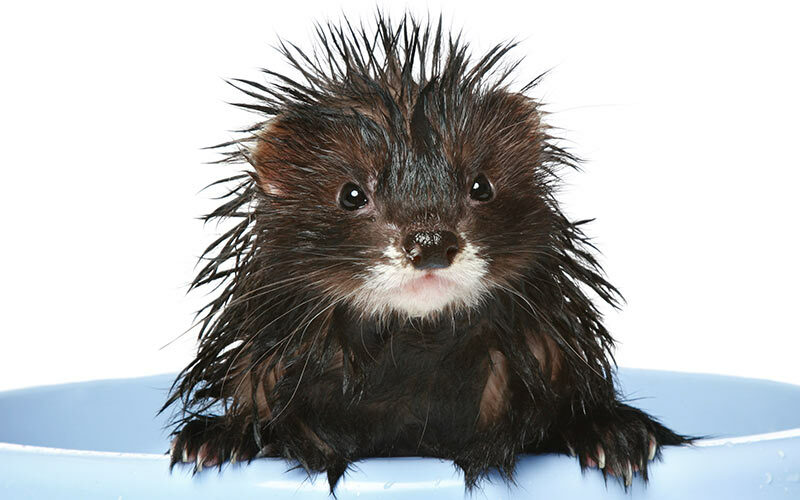 Fortunately, ferrets have many characteristics that set them apart from other household pets. In this article, we’ll suggest different types of names, from traditional male and female pet names to ones uniquely suited to ferrets! The possibilities are endless! Hopefully, one of these names will stick out and make you say, “Perfect, this is the one!” Or, you may find a name that feels close to what you’re looking for, and create your own spin on it. Whatever you decide, have fun as we guide you through the process of naming your new ferret! Before jumping into our ideas for good ferret names, let’s check out some of the main characteristics of ferrets in general. 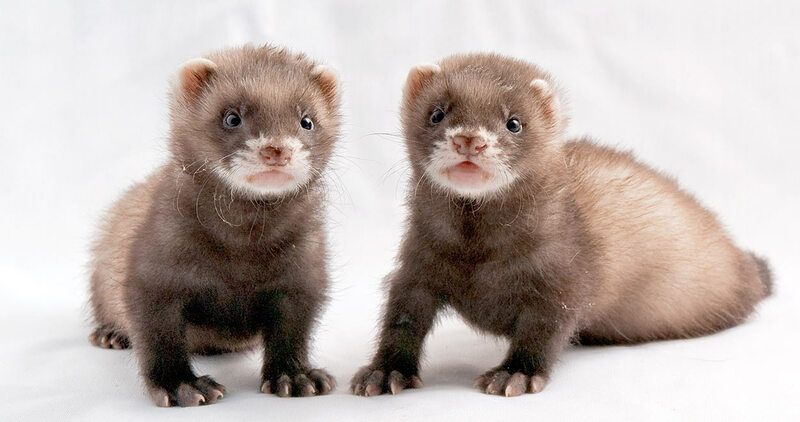 Ferrets are, first and foremost, unique, non-traditional pets, in comparison to more common companions such as cats and dogs. 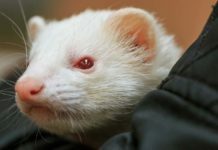 However, ferrets are fascinating, fun pets in their own right, with a very unique combination of behavioral traits. 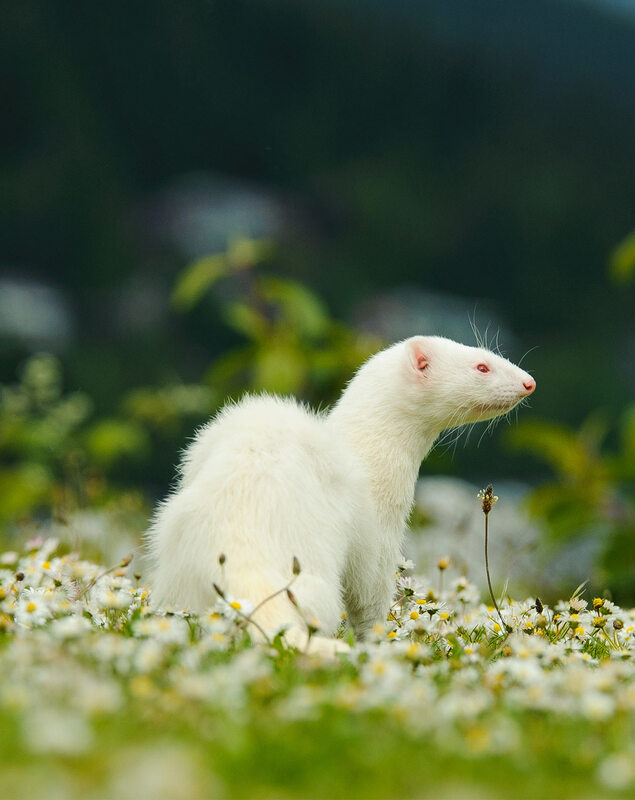 Several key characteristics are common to ferrets, such as their lively, high-energy drive for play and exercise, their caring and affectionate love for their humans, and, as we mentioned earlier, their high level of intelligence. Additionally, their appearance sets them apart from other pets—yes, they are cute, but not in the same way as, say, a kitten or puppy. 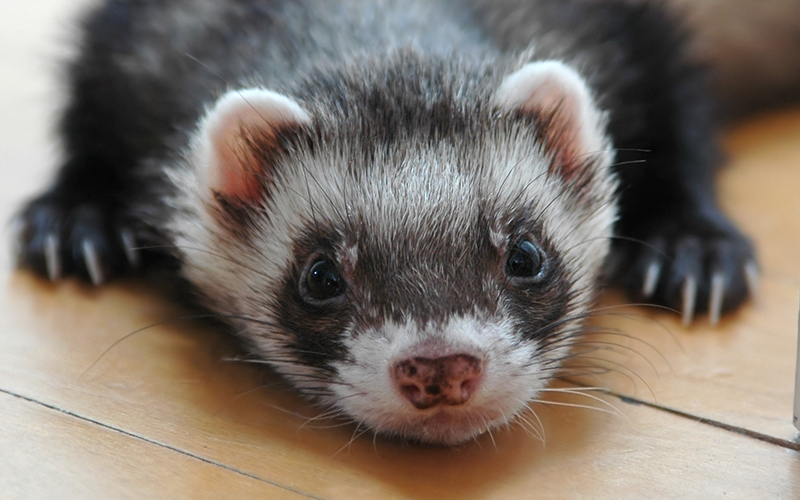 Ferret fans love their bright eyes, lithe bodies, and sleek fur coats. 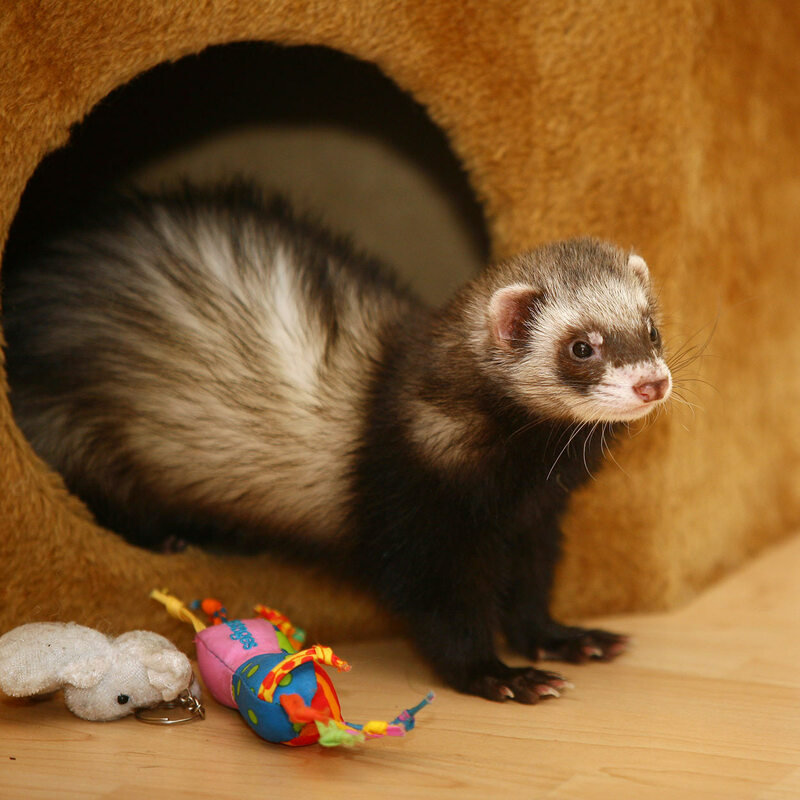 If you would like more details on ferrets, check out our other article on ferrets as pets. For now, let’s start exploring ferret-specific names! You can choose standard human names for ferrets. Most of these names strike a balance between cute, informal nicknames and more formal names, so you can choose a name based on your ferret’s personality! First, the boys! But what if your new little friend is a Jill (there’s an idea for you, right there!) and not a Hob? Let’s check out some great female names for your new girl ferret! Now that we’ve covered boy and girl ferret names, it’s time to start taking inspiration from the ferret’s personality and temperament. Let’s start with cute names, drawing on their high-energy levels, affectionate personalities, and their beautiful fur! Here are some cute baby ferret names guaranteed to make you say “aww”! For this section, we’ll be celebrating the ferret’s boundless energy and high intelligence. Our driving inspiration here comes from names that speak to the “trickster,” impish nature of these pets! One of the most enjoyable routes to take in naming a pet comes from picking out one that will always make you smile and laugh. Some of these names will be on-point, and others ironical. These silly, goofy names are definitely fitting for ferrets! Now let’s look at names that celebrate the ferret’s athletic, sleek appearance. These little monkeys are as lively as they are lovable. Here are some cool ferret names that will suit them well. How about something a bit more intelligent when it comes to naming your ferret? A handle that gives a fun nod towards their personality, but with a clever twist. Ferrets are social creatures, and are happiest in pairs or groups. If you have just brought home a pair of long, skinny cuties, then you might like to give them names that match! Finding two names that go together may be even more entertaining than finding one funny name. Finally, here’s a category for more unusual names for ferrets. Some are formal, old fashioned, mythological, or just plain “out-there” and strike an elegant, dignified note. 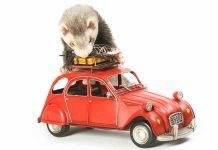 In this article, we’ve traveled down many different paths on our search for great pet ferret names and ferret name ideas. With their unique personality and appearance, we’ve shown that there is definitely an upside to having so many great options in naming a ferret. We hope our lists have offered you some inspiration, either directly or indirectly, in choosing a name for your new ferret. Naming a pet can be stressful, but also so much fun! We wish you and your new pal (or pals) all the best! Next articleCan Guinea Pigs Eat Cucumbers?